Microsoft Office 365 solutions from WhiteOwl allows you to enjoy the benefits of dependable cloud solutions in order to increase efficiency and free up company resources – all for a price that fits your business and your budget. By combining online versions of the most powerful business tools from Microsoft, you can cost-effectively enhance communications and inspire collaboration within your office. Microsoft Office 365 gives your business the power of cloud productivity, allowing you to save time, money and free up valued company resources. 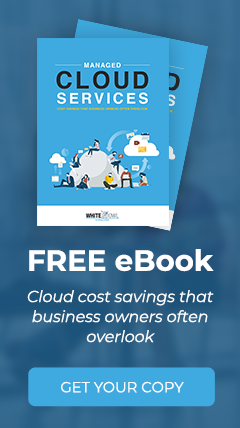 With pay-as-you-go pricing, this solution combines the Office desktop suite you're already familiar with and cloud-based versions of next-generation communications and collaboration solutions, including Exchange Online, SharePoint Online and Lync Online. Anywhere, anytime access to your email, documents, contacts, and calendars on nearly any Web-enabled devices. Continue working with Microsoft Office and the other programs you and your staff already count on for business productivity. Business-class features that include IT-level phone support, geo-redundancy, guaranteed 99.9% uptime and disaster recovery services. Pay-as-you-go pricing that brings both predictability and flexibility to your budget. Access to the newest version of the Microsoft Business Productivity Online Suite (BPOS), which currently has millions of users. Office 365 from WhiteOwl is user-friendly and simple to set up - plus, it's backed by Microsoft's robust security and financially-backed, guaranteed reliability you expect from a world leader in technology.